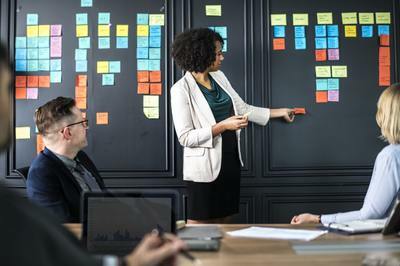 Maintaining productivity and facilitating excellent internal communication are essential in any company, and a common step taken to achieve these critical goals is to hold meetings periodically. These may be company-wide meetings, executive meetings, team meetings and more. Unfortunately, many business meetings drag on, and they can ultimately waste valuable time while impeding productivity. Learning how to run an effective meeting may decrease frustration with your employees while also improving productivity and communication. These are a few effective meeting tips that may be incorporated in your future efforts. As you explore how to run effective meetings, you may identify that one of the most significant challenges that you have faced in previous meetings is keeping everyone on track while accomplishing all relevant goals. •Select topics that affect the entire team. To have a complete list of topics, you might have to seek out input from team members. •Create a detailed meeting agenda. This should outline who will present each topic that needs to be covered. •Estimate the amount of time that will be spent on each topic. Don’t forget to include the time for answering questions, resolving different points of view, and agreeing on the potential solutions together. •Distribute the agenda ahead of time. Ask each person to be prepared for their aspect of the meeting. Running effective meetings also means that everyone needs to stay on-task from start to finish. One way to address this problem is to assign a meeting facilitator. You may select one person who can effectively manage all meetings regularly, or you may rotate this task. 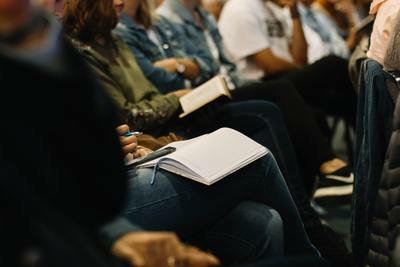 By rotating the responsibility to different people, each attendee may become more aware of their own actions that may lead to distractions during meetings. A facilitator will be responsible for keeping everyone focused on the right topics and for moving the meeting forward in a timely manner according to the agenda. 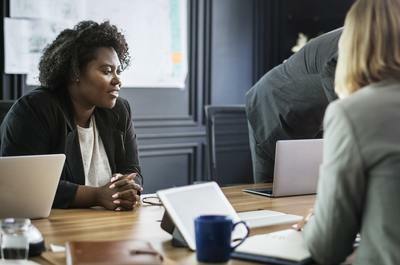 At first glance, running effective meetings should not be affected by the event’s scheduled day and time, but this is not actually the case. When you examine how to run effective meetings, be aware that the best time is usually in the middle of the afternoon and in the middle of the week. This is often a time when employees are most focused on completing their tasks for the week in a timely manner. They may be eager to get through the meeting quickly so that they can go back to their other tasks and duties before they leave the office for the day. By hosting the meeting even later in the afternoon, you are ensured that the meeting does not drag on for an excessively long period of time because your team may need to leave work and tend to personal responsibilities. As you explore effective meeting tips, think about renting a meeting room in a coworking space. A meeting room for rent brings a lot of advantages to staff and employees. For example, you may be able to choose a meeting room that can accommodate all of the attendees that you intend to invite to the meeting. You may also have access to technology for presentations and other aspects of a meeting that are not available in your own office’s meeting room. In addition, by changing scenery, the group may be more alert and ready to participate actively. In many cases, the meeting room will only be rented for a limited period of time, and all aspects of your meeting’s planned events must be completed within the allocated amount of time. Learning how to run an effective meeting is vital to your company’s overall profitability, productivity and internal communication. If your meetings have been a source of frustration and have unnecessarily wasted time in the past, now is a great time to learn effective meeting tips and to employ those tips moving forward.